Some treasures are more precious when they are shared. That is the founding ethos of the GW4 Alliance (the universities of Bath, Bristol, Cardiff and Exeter), which enables researchers to jointly access special collections and rare archive materials across its institutions, alongside its other collaborative initiatives in research, doctoral training and equipment. 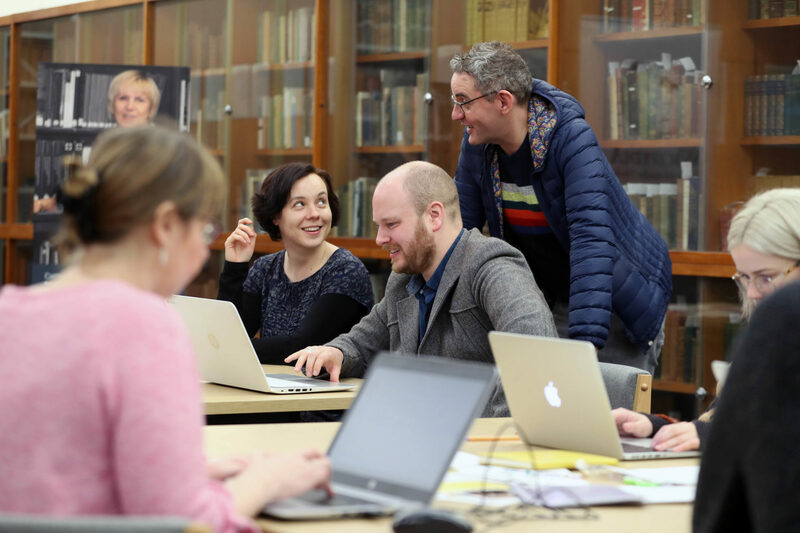 Now GW4 is launching a season of outreach activities to engage a new generation of researchers and communities with the potential of GW4 Treasures, which combines over 10km of books and 5km of manuscripts and archive materials. GW4’s shared collections cover a huge range of subject areas and provide insights in research areas such as the environment, women, medicine, the written word, ways of thinking, science and technology and more. The launch of the GW4 Treasures Colouring Book in January, part of #ColorOurCollections week, signalled the start of this initiative to get more people engaged with the wealth of research and collaboration potential offered by GW4’s shared collections. The colouring book, which has been made available online and in print, brought together weird and wonderful illustrations from the archives of GW4 universities. The book was designed to pique curiosity and showcase the wide variety of GW4’s shared collections, including a football cartoon, a map of human skull measurements, a 17th century road survey and a wildlife wood engraving. Over 110 new users have visited GW4 Treasures online since the Colouring Book was launched on February 2018. The first editathon of the series was held on 10 March 2018 (co-organised by GW4, Cardiff University Special Collections and the Women Tech Cymru network) focusing on women’s suffrage and women in media, politics and STEM to celebrate International Women’s Day. You can also access all the edited and created Wikipedia pages from the day. Alongside in-person events, plans are also underway to open up GW4 Treasures to the global research community. Archive materials that have been made available digitally will be shared through open license on Wikicommons, enabling enthusiasts worldwide to access rare published and unpublished book extracts, manuscripts, maps and diaries. A series of case studies will also be produced on how researchers at GW4 universities have collaborated through GW4 Treasures, and have benefitted from being able to access special collections and archives at scale. The season of GW4 Treasures outreach activities will culminate in a one-day conference in June 2018, details to be announced, to showcase some of the most exciting research being developed through archive exploration across GW4 and to reflect on future plans to engage new users in the collections. Researchers and community members can download the GW4 Treasures Colouring Book and register for the first GW4 Treasures Editathon now.